Internationalized Medical Education: How do we develop competency-based education and realize its full potential? UN-recognized NGO Child Family Health International (CFHI) has been running global health education programs for over 20 years. We have seen a lot along the way since our beginnings in a small garage in the San Francisco Bay Area. Fast forward to 2014. Global health has become a buzzword, conjuring up images of Bill and Melinda Gates projects and Partners in Health initiatives. 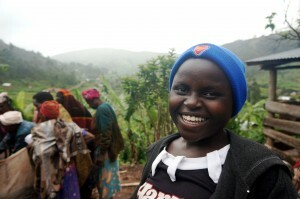 Once a field that rallied for press, global health is receiving increasing limelight. Take a look on the Kaiser Family Foundation webinar on U.S. spending towards global health initiatives or the entire Center for Global Development event devoted to discussing Best Buys in Global Health. Global health teaching in undergrad and medical curricula is also increasing and the 2013 Open Doors Report on International Educational Exchange, states study abroad by U.S. based students is steadily increasing and is at an all time high. The Association of American Medical Colleges data demonstrates that 35% of US medical students participate in international experiences. 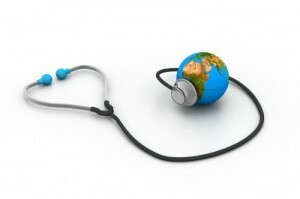 Spurred by increased participation, global health education is evolving from a phenomenon of one-off volunteer experiences to a field of educational theory and practice, shaping the world’s next generation of healthcare providers with skills demanded by an increasingly inter-connected world. As we strive to meet demand and look at the nuances of programming, we must continue to examine students’ international experiences. This month thousands of international educators will gather at the NAFSA conference and discuss these topics at the Colloquium on Internationalizing Education for the Health Professions. Here and on our own we must consider key questions—what competencies does a globalized health practitioner need? What competencies are nurtured during global health programs? How do we wed international global health and what is taking place in our own back yards? 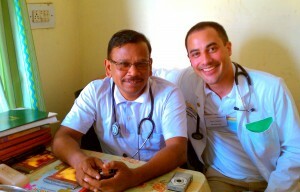 Just as important, not all global health experiences are created equal. As educators and leaders in the field, we must advocate for socially responsible and ethically sound approaches to placing students in health settings abroad. 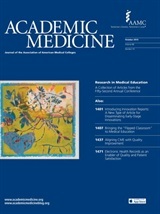 This entry was posted in CFHI Model, Cultural Humility, Global Health Education, study abroad, Volunteering internationally and tagged 2013 Open Doors Report, AAMC, Academic Medicine, Asset Based Community Development, asset-based engagement, Association of American Medical Colleges, best buys in global health, cfhi, child family health international, Colloquium on Internationalizing Education for the Health Professions, competency based education, Global Health, Global Health Education, global health experiences, health professions students, health settings abroad, International Educational Exchange, international health, internationalizing medical education, Let the world change you, Med Ed, medical education, medical students, NAFSA, NAFSA: Association of International Educators, professionalism, shaping healthcare providers, study abroad on May 15, 2014 by Jessica Evert, MD.